Your doctor failed to perform a C-section and it caused injuries. Speak to our San Diego birth injury attorney at the Simpson Law Group to find out what the most optimal legal strategy is in your particular circumstances. Home > In The News > Birth Injury Caused By Failure To Perform A C-Section In A Timely Manner: Are You Entitled To Compensation? Birth Injury Caused By Failure To Perform A C-Section In A Timely Manner: Are You Entitled To Compensation? From the moment a baby is conceived to its birth, its health must be closely monitored by medical professionals to avoid birth injuries and ensure that the baby’s development in the mother’s womb is stable. By closely monitoring the baby’s development and condition from its conception to birth, medical professionals must react to any issues that may arise in the course of the pregnancy and childbirth. Sometimes, these issues can arise before or even during birth, or there may be no issues at all. When there is an issue, the doctors must order and perform a Cesarean section, also known as C-section. Cesarean section is the practice of removing the baby from the mother’s womb when it is necessary to avoid complications in the pregnancy and eliminate any risks for the mother or baby’s health. What are the risks and consequences of not performing a C-section? “A C-section helps avoid birth injuries and ensures that the baby is born healthy even though it’s removed from the mother’s womb before the due date,” explains our San Diego birth injury attorney at the Simpson Law Group. But there are many cases when doctors, obstetricians, and other medical professionals fail to perform a C-section or fail to order the procedure in a timely manner. Failure to perform a C-section when the procedure is required exposes the baby to a wide range of health complications. Some birth injuries and defects can impact the baby’s life and even cause death, which is why courts treat a failure to perform a C-section as a form of medical malpractice. Emergency C-sections are ordered by medical providers when signs of fetal distress are detected in the course of the pregnancy or even shortly before birth in the delivery room. Under California’s legal doctrine of medical malpractice, you may be entitled to seek compensation for any birth injuries caused by failure to order a C-section or waiting too long to perform a C-section. Since hospitals in California are always represented by the best defense lawyers in the state, the importance of hiring an experienced birth injury attorney in San Diego cannot be overstated. If a medical practitioner fails to recognize signs that call for an emergency Cesarean section, he or she must be held liable for any resulting injuries and damages, but only as long as another medical professional could have been reasonably expected to order or perform the procedure by adhering to the highest standard of care in the negligent doctor’s circumstances. One of the most common situations in which medical practitioners are reasonably expected to order and perform an emergency C-section are fetal distress, uterine rupture, cord prolapse, and many other signs that put the health and life of the mother and/or baby in danger. 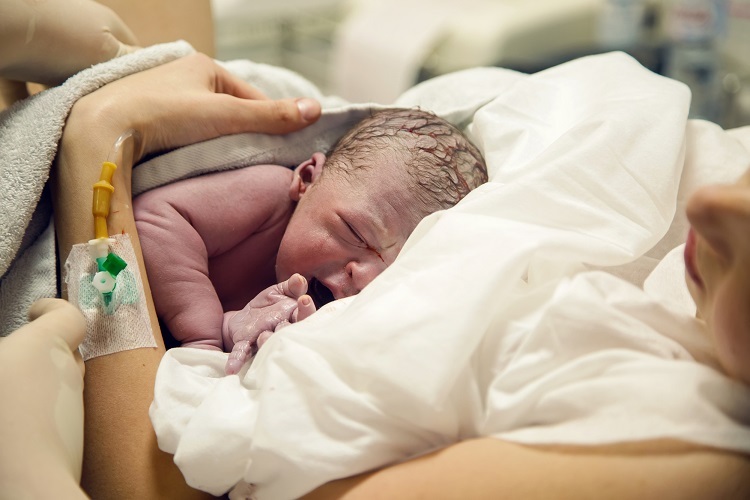 According to the American College of Obstetrics and Gynecology, an emergency C-section must be performed within 30 minutes of recognizing signs of fetal distress, uterine rupture, cord prolapse or any other warning signs indicating that waiting for regular delivery could endanger the baby or mother’s health. Failure to perform a C-section may cause death to the baby, or the baby may suffer lack of oxygen to the brain or any other life-threatening condition that could impact the baby’s health for the rest of its life. Brain damage, cerebral palsy, developmental disabilities, and even transfer of diseases such as HIV are also common consequences of not performing a C-section in a timely manner. Have your doctor failed to order or perform a C-section and it caused injuries? Speak to our attorney at the Simpson Law Group to find out what the most optimal legal strategy is in your particular circumstances. Call our offices at 619-236-9696 for a free case evaluation.